For decades, the Big Bang Theory has remained the accepted theory of how the universe came to be, beating out challengers like the Steady State Theory. 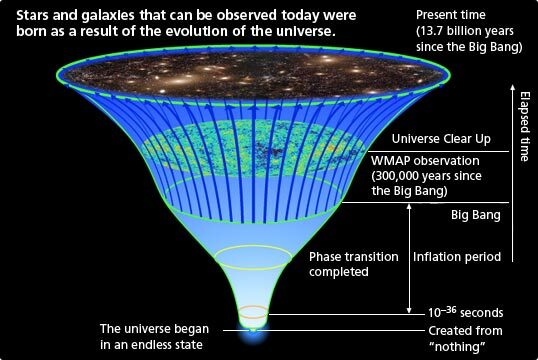 However, many unresolved issues remain with this theory, the most notable of which is the question of what could have existed prior to the big bang. Because of this, scientists have been looking for way to refine the theory. Luckily, a group of theoretical physicists from the Perimeter Institute (PI) for Theoretical Physics in Waterloo, Ontario have announced a new interpretation on how the universe came to be. 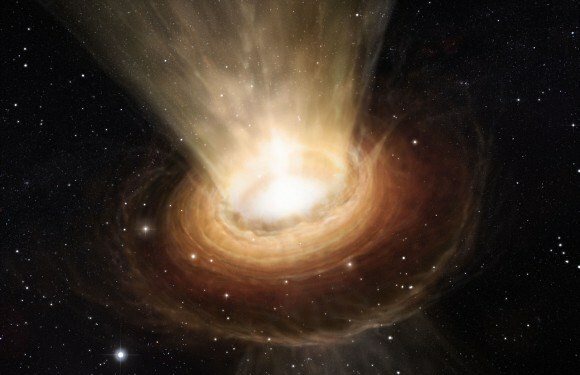 Essentially, they postulate that the birth of the universe could have happened after a four-dimensional star collapsed into a black hole and began ejecting debris. This represents a big revision of the current theory, which is that universe grew from an infinitely dense point or singularity. But as to what was there before that remain unknown, and is one of a few limitations of the Big Bang. In addition, it’s hard to predict why it would have produced a universe that has an almost uniform temperature, because the age of our universe (about 13.8 billion years) does not give enough time to reach a temperature equilibrium. For all physicists know, dragons could have come flying out of the singularity. 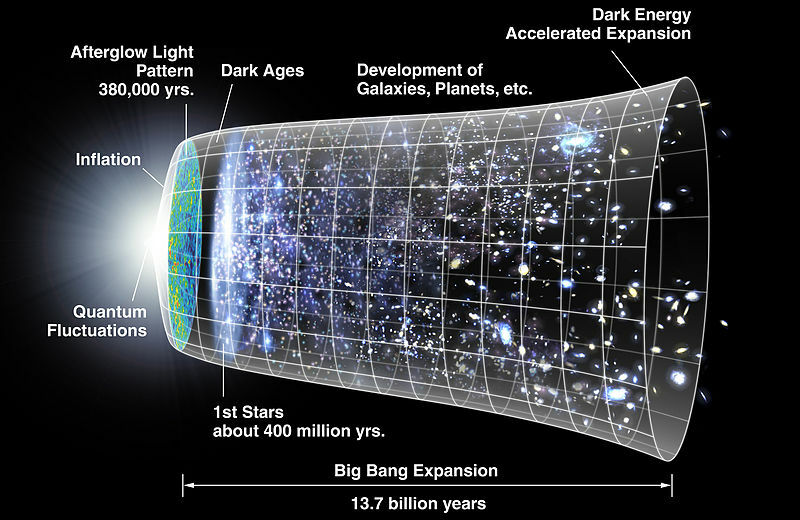 The Big Bang was so chaotic, it’s not clear there would have been even a small homogenous patch for inflation to start working on. The model Afshordi and her colleagues are proposing is basically a three-dimensional universe floating as a membrane (or brane) in a “bulk universe” that has four dimensions. If this “bulk universe” has four-dimensional stars, these stars could go through the same life cycles as the three-dimensional ones we are familiar with. The most massive ones would explode as supernovae, shed their skin and have the innermost parts collapse as a black hole. 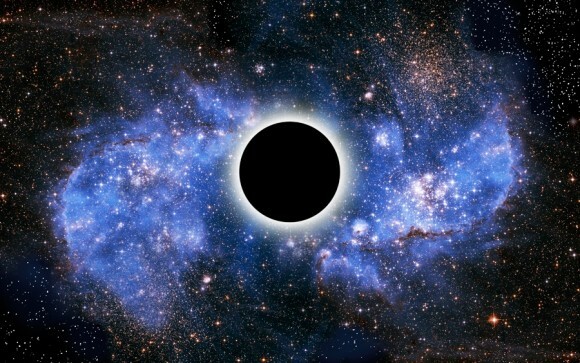 The 4-D black hole would then have an “event horizon”, the boundary between the inside and the outside of a black hole. In a 3-D universe, an event horizon appears as a two-dimensional surface; but in a 4-D universe, the event horizon would be a 3-D object called a hypersphere. And when this 4-D star blows apart, the leftover material would create a 3-D brane surrounding a 3-D event horizon, and then expand. To simplify it a little, they are postulating that the expansion of the universe was triggered by the motion of the universe through a higher-dimensional reality. While it may sound complicated, the theory does explain how the universe continues to expand and is indeed accelerating. Whereas previous theories have credited a mysterious invisible force known as “dark energy” with this, this new theory claims it is the result of the 3-D brane’s growth. However, there is one limitation to this theory which has to do with the nearly uniform temperature of the universe. 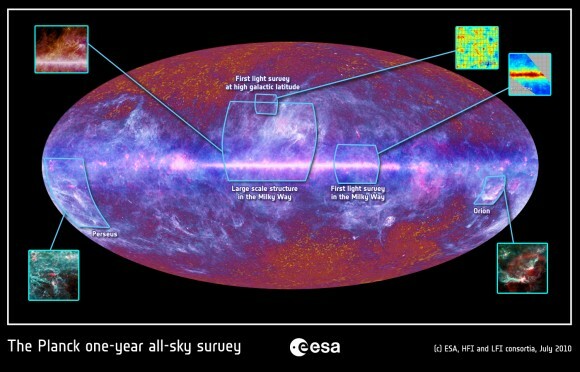 While the model does explain how this could be, the ESA’s Planck telesceop recently mapped out the universe and discovered small temperature variations in the cosmic microwave background (CBM). These patches were believed to be leftovers of the universe’s beginnings, which were a further indication that the Big Bang model holds true. The PI team’s own CBM readings differ from this highly accurate survey by about four percent, so now they too are going back to the table and looking to refine their theory. How ironic! However, the IP team still feel the model has worth. While the Planck observations show that inflation is happening, they do not show why the inflation is happening. Needless to say, we are nowhere near to resolving how the universe came to be, at least not in a way that resolves all the theoretical issues. But that’s the things about the Big Bang – it’s the scientific equivalent of a Hydra. No matter how many times people attempt to discredit it, it always comes back to reassert its dominance! Ending HIV: Foot Cream Kills HIV Cells! I wonder what else could have existed in the universe before the universe. But before I speculate, I have to ask: doesn’t 4-dimensions mean time? It does indeed! This would mean it would work above and beyond our concept of a 3-D universe. I also did an article for Universe Today awhile back where some scientists said that it might be possible to see how other dimensions influenced the formation of the universe by looking deep into space. This is the same as looking back in time since light from the edge of our universe – the event horizon, the leftover radiation from the creation event – takes billions of years to get to us. By looking at what the universe looked like in its earliest eons, they thought they’d be able to gauge how those dimensions work. Freaky huh? Yep. Now there’s potential for a rather scary novel there.